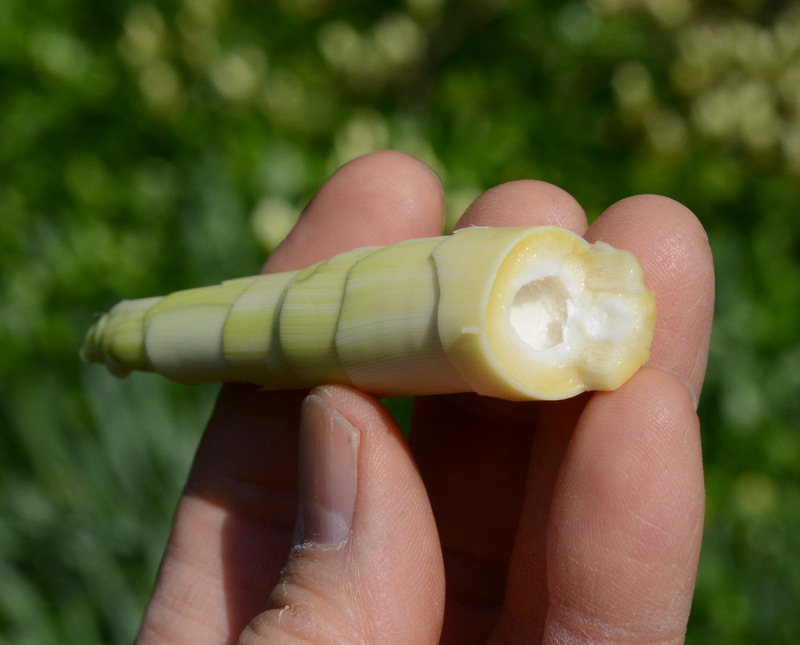 Jeanne continues Bract Month here at the Botanist in the Kitchen by describing the morphology of an interesting and delicious springtime specialty: fresh bamboo shoots. I had the distinct pleasure a few weeks ago of trying a temperate springtime speciality: fresh bamboo shoots. 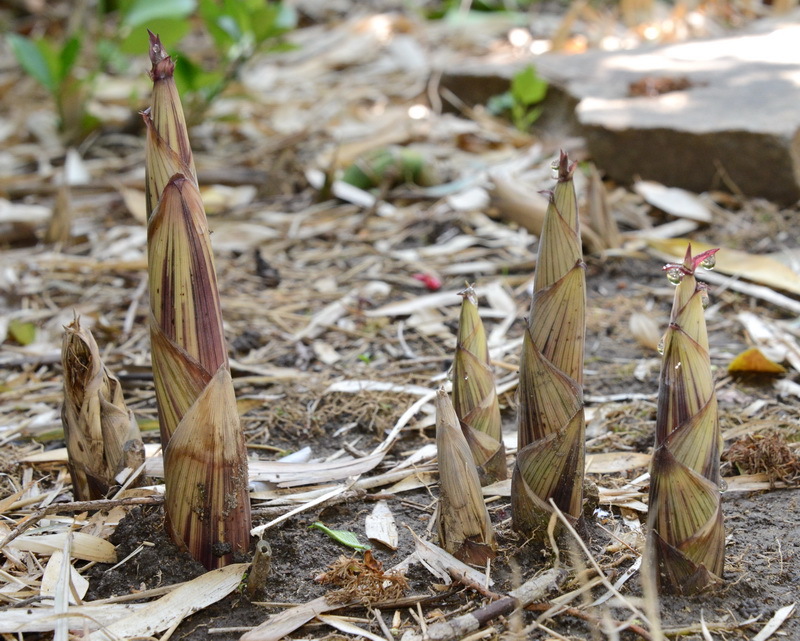 The friend who shared them with me has a backyard bamboo thicket and harvests the young shoots when they pop up as incursions into the lawn. Globally, he is in good company, as the fresh shoots show up in springtime (or otherwise seasonally appropriate) markets in most of Asia, which is the native range of most of the 1400+ bamboo species. Probably like many modern Americans, before steaming the fresh shoots and putting them in a lovely spring chopped salad last week (we used a lemon-garlic-dill vinaigrette), I had only eaten bamboo shoots as neat, thin, rectangular or julienne slices of canned bamboo shoots in various Thai curries at and Chinese soups in restaurants.